QUESTION: My new dishwasher tips when I open the door. When I slide out the rack full of dishes it is tilting forward. I had the dishwasher installed last week by an appliance delivery service. I don’t know anything about appliances so I need help with how to fix this issue. Does this mean the dishwasher is too small for the area or was the dishwasher installed wrong? What is the best way to secure a loose dishwasher? ANSWER: The dishwasher was not installed correctly. Call the appliance installation company back and have them install the dishwasher with “dishwasher mounting brackets”. If this is not possible, check to see if brackets are installed. 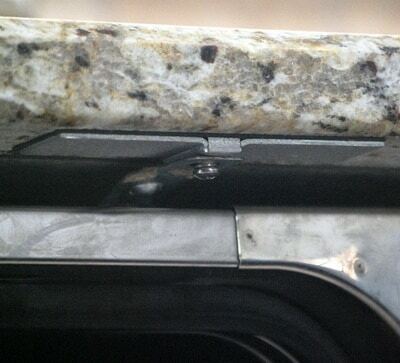 If brackets are installed, use screws to attach the dishwasher back into the countertop. 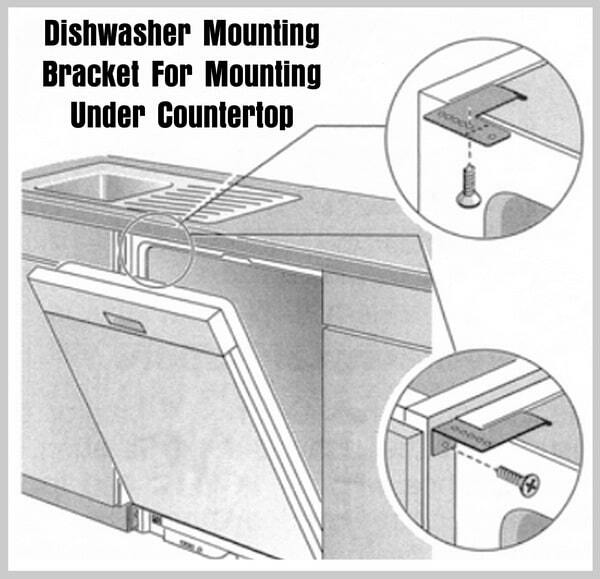 If the dishwasher does not have mounting brackets, see below. Remove power to the dishwasher. Kneel down and look at the top of the dishwasher. Check for mounting brackets on top or sides of dishwasher. If you see the brackets attached to the dishwasher, they may not be screwed into the countertop. Check the brackets for screws. Get new screws and secure the dishwasher into the countertop (or cabinet) if the screws are missing. Purchase a dishwasher mounting kit if the brackets are missing. Cautiously slide the dishwasher out from under the counter. Install the brackets onto the mounting holes at the top or sides of the dishwasher. If applicable, bend the bracket above the mounting holes to define the correct angle. Line the brackets up so they are straight and positioned correctly. Secure the screws into the brackets and into the bottom of the countertop or side of cabinet. Apply power to the dishwasher and test for tilting. Have questions? 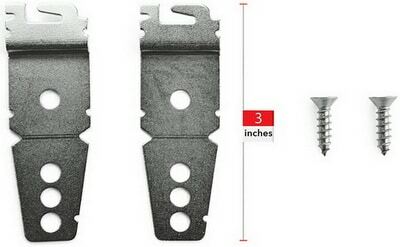 Please leave your dishwasher mounting question below. Next post: AC FAN Set To AUTO Or ON – What Is Best?